Ok confession time. Holloween is my favorite time of the year. The fall season, the weather the colors, then of course, decorating for Halloween. I might go a little overboard when it comes to Halloween decorating. Well *I* don't think so but other members of my family seem to think I do. So I've been told I need to do mroe DIY decor then buying so we don't go broke. That I can agree with. 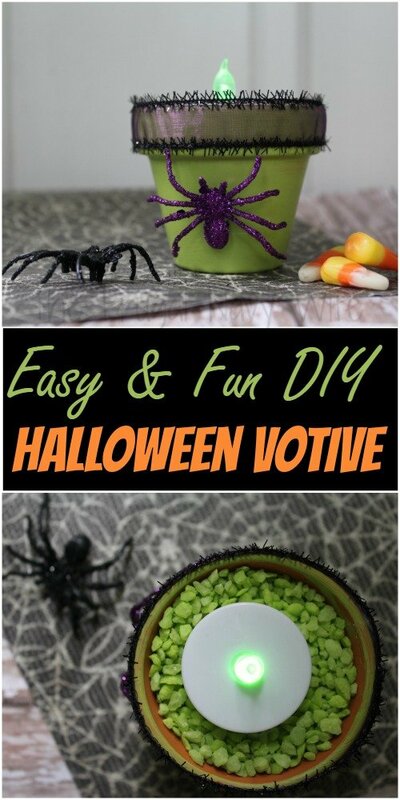 So that is how this easy DIY Halloween Votive Holders came to be. See when I start to decorate for Halloween I LOVE decorating outdoors for the kids that go trick or treating. I love getting the cement headstones from Target for my yard. I also love to decorate with the huge blow up decorations. 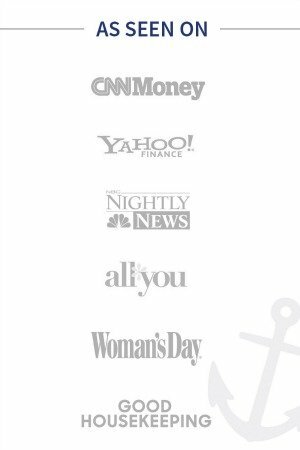 I have learned how to do this on a budget though! I use the places I get free Amazon gift cards from and cash out for Target instead and get Halloween decor. I use method paid with Target's Buy one Halloween costume and get one free sale to get my kids Halloween costumes for free! 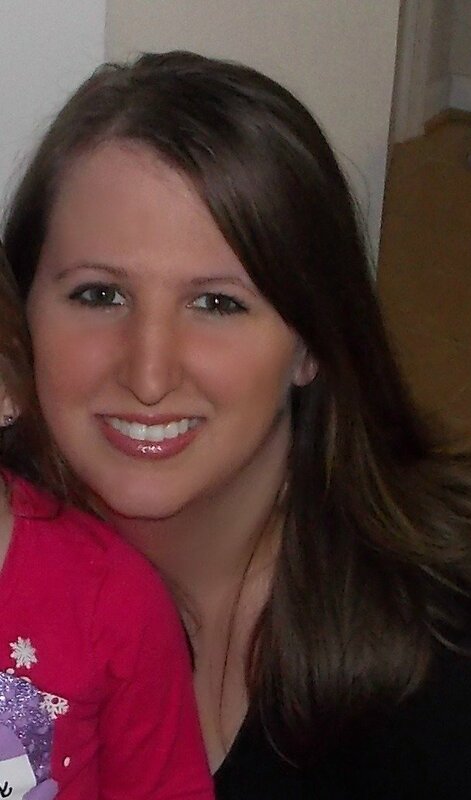 Ok ya'll I promise this is crazy easy to do! So lets get started! 1. 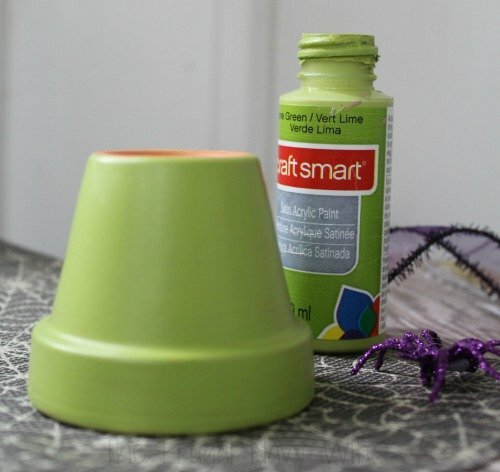 Begin by applying two coats of paint to the flower pot. You might need to do a thrid depending on the type of paint you use. You don't want any of the original brown to show through! The terra cotta will soak up the paint so allow time to dry before applying each coat. 2. 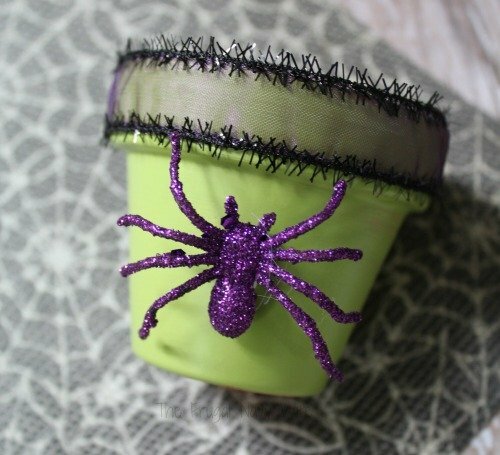 Once you have the desired amount of paint on and the paint dries, cut a length of purple ribbon and tie it around the top of the pot. Add a dab of glue to secure it into place. 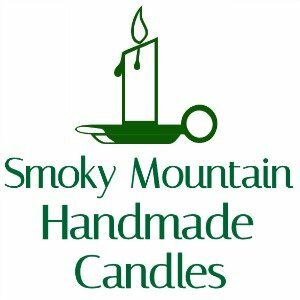 The length needed will vary depending on the size of your pot. 3. Add a small piece of paper to the bottom of the pot. This will keep the gravel from falling through the drain hole. You can also add a sticker of some kind. I suggest taping the paper or if you use some ribbon then hot glue it. 4. 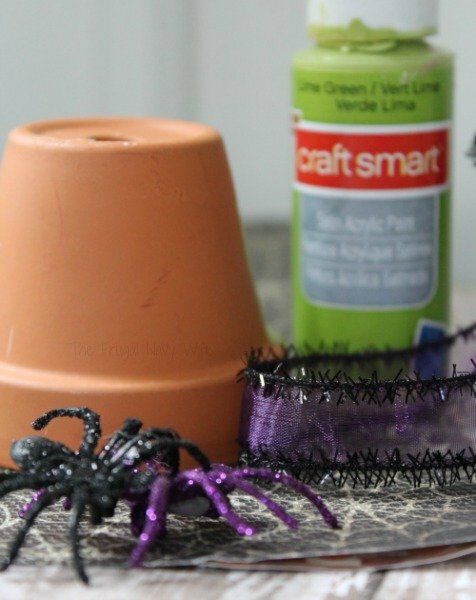 Add a dab of glue to your spider and press it to the front of the flower pot. This is also where you can great creative and add in other Halloween tiems such as bats, cats, and more! 5. Fill the flower pot up with the green gravel. I grabbed a pack at the Dollar Tree but if you can't find it you can also get green gravel on Amazon. 6. Nestle the LED battery operated votive inside of the flower pot. I suggest one with a green light to go with the colors of the pot. 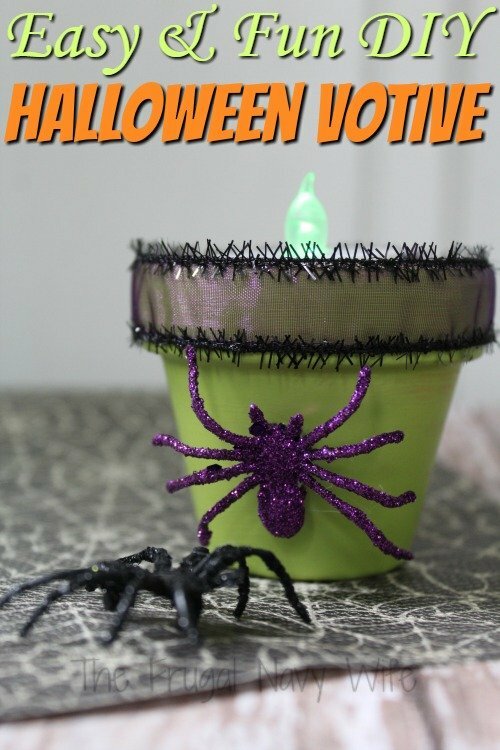 Your Halloween votive holders are now ready to be displayed. You can do a witch one in purple, or a candy corn one in orange would also look great! Do all 3 and it would make a great mantle piece! 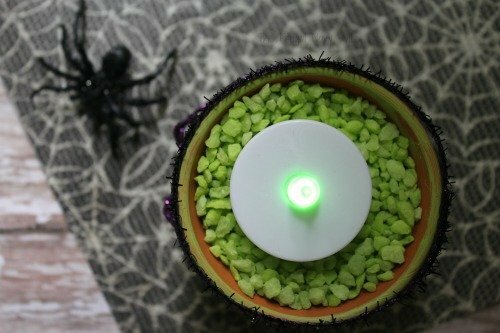 IF you are a DIY mood still here are some more Halloween DIYs for you!